december 2006 | 462 blz. What international family law is ‘necessary for the proper functioning of the internal market’? 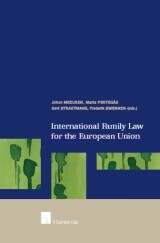 An in-depth analysis of international family law within the European Union from a multidisciplinary approach was needed to tackle this central theme.